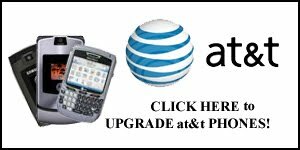 It needs some work, but the Cell Phone Upgrade Specials web site is back up! There were some hosting issues and the phones had not been updated in a long time, but cellplanupgrade.com is the best regular site for finding the latest cell phone upgrade deals. What makes CellPlanUpgrade different is they do not try to steer you to a specific carrier or smartphone manufacturer. Whether you use T-Mobile, Verizon, AT&T, or you like Samsung Galaxy Notes or the iPhone, you can find the latest deal for existing customers. Phone carriers have changed a lot. Some no longer offer upgrades, and some have now made contracts and upgrade eligibility obsolete or optional. That said, whatever your situation you can find the best deal for the carrier you want. This will allow you to find a better deal than just going to the Verizon home page, for example.